The BLACKHAWK CQC Tactical holster platform allows you to mount and use your CQC carbon-fiber holster as a Tactical drop-leg holster. The BLACKHAWK Tactical holster platform is custom-designed to work with serpa CQC holsters (duty or carbon fiber). the platform gives the professional the option of wearing the Sherpa holster on the leg, when needed for raids or other special operations. 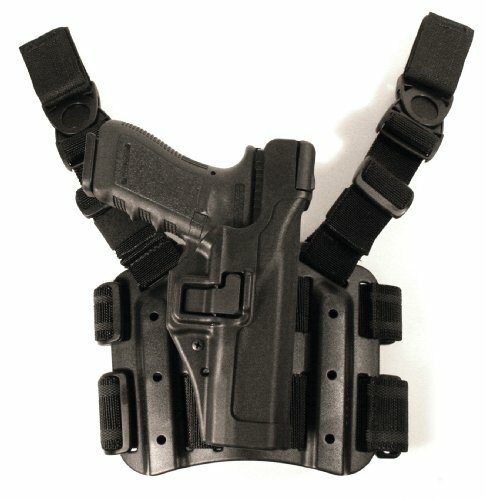 This Tactical holster platform has a unique harness with quick-disconnect articulated belt attachments, and a dual leg strap design that can be used with both straps, or just the bottom strap. These features of the BLACKHAWK CQC Tactical holster platform make it a flexible platform Conforming to the shape of any leg, with the ability to store the accessories necessary for combat. Made specifically to meet the demands of Tactical operations, the level 2 Tactical holster gives you the benefits of a drop-leg configuration for ideal holster location. It also comes equipped with a flexible thigh platform that conforms to leg size, a harness suspension system for even weight distribution, and quick-disconnect swivel buckles on belt mounts for superior Maneuverability. 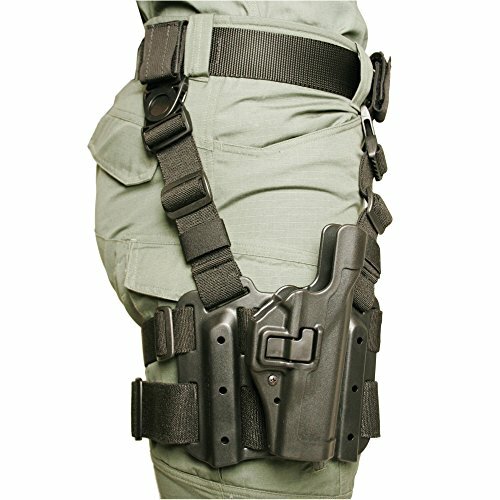 Features: flexible thigh platform conforms to leg size; y-harness suspension system distributes weight evenly, keeps holster vertical when kneeling, and allows use of pants pocket; quick-disconnect swivel buckles allow superior flexibility and quick holster mounting and dismounting; accessory mounting locations for pouches, knives, Mag cases, etc. 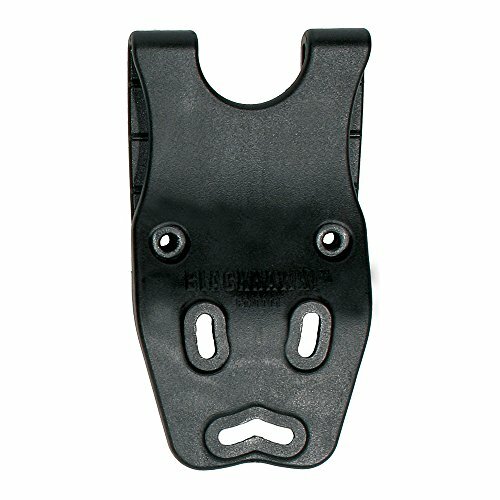 ; rubberized leg straps eliminate sliding; Passive retention detent adjustment screw and serpa auto lock release; reinforces full master grip and superior draw technique; immediate retention and audible click upon re-holster for increased Officer safety; full-length holster body protects rear sights; same drawing technique for undercover, Tactical, and duty; and a hole in holster body for bungee retention if desired. BLACKHAWK Tactical Mag pouch is a carbon fiber Mag pouch with molded flap. The black Hawk magazine pouch is a versatile pouch that fits the Tactical holster platform, modular drop leg platform and the Tactical serpa holster! don't be caught unprepared. The BLACKHAWK Mag pouch has your back when it comes to ammo storage. Features: This Holster fits Beretta M9 M92 Made of high density durable polymer. Flexible thigh platform conforms to leg size Speed cut allows faster draw and easy re-holstering Accessory mounting locations for magazine and flashlight Immediate retention and audible click upon re-holster for security No thumb break or awkward middle finger release to slow down your draw Quick-disconnect swivel buckles allow superior flexibility, quick holster mounting and dismounting Speed-cut design allows rapid draw, target acquisition, and re-holster while keeping eyes on target Weight: 600g Color: Black/Tan Package includes 1 x Paddle & Hard Leg Holster (with magazine and flashlight pouch) If you have anything unclear about our products, please let us know. We look forward to hearing from you. We strive to provide you with the best value and service. 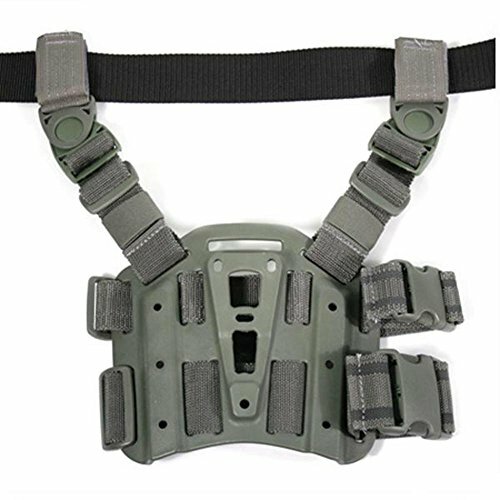 From the drop leg Tactical to the Sherpa vest mount platform, the BLACKHAWK serpa quick disconnect kit (2 female/1 male) allows you to quickly and easily move your BLACKHAWK serpa holster between any serpa platform. 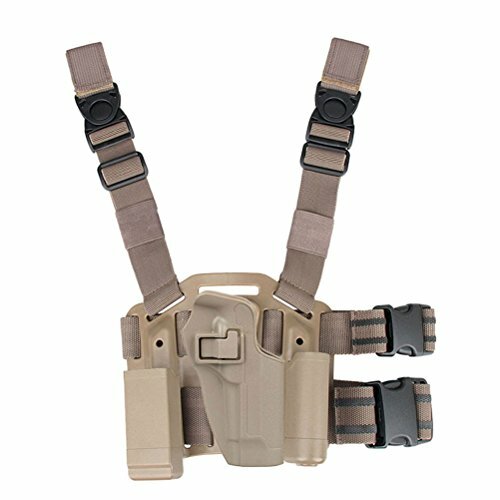 Instantly adjusting your gear as your mission requires, these holster accessories from BLACKHAWK allow for the easiest access to your weapon. 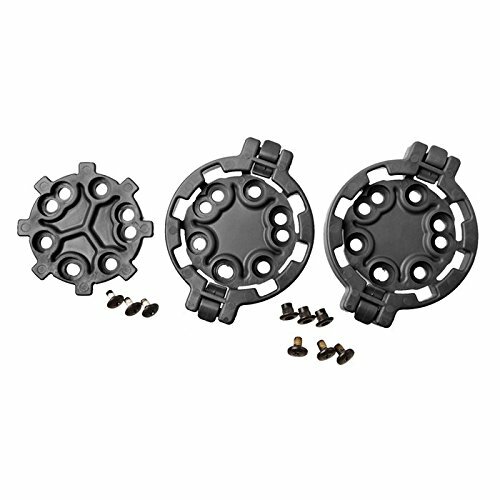 The quick disconnect system of the BLACKHAWK serpa 2 female/1 male connection accessory kit allows the holster to be mounted in any of the 360 degree angles for the most comfortable wear and ride in any position. The BLACKHAWK serpa quick disconnect kit features 2 female and 1 male connections, where the male QD attaches to the back of any serpa holster, and the female QD attaches to any serpa platform for ease of transition between platforms. For the ultimate customization, use your holster however you want with the BLACKHAWK serpa easy disconnect set. 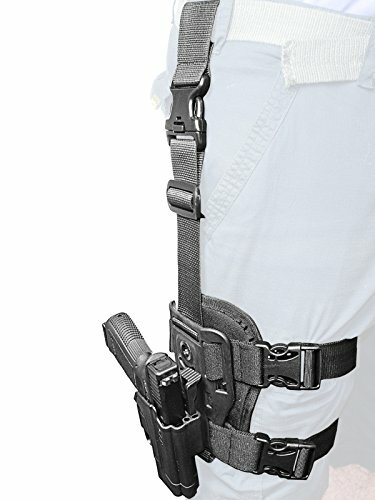 The Blackhawk SERPA Mid Ride Belt Loop with Duty Holster Screws is compatible with Blackhawk Duty Holsters and allows the user to wear the holster higher on the belt. 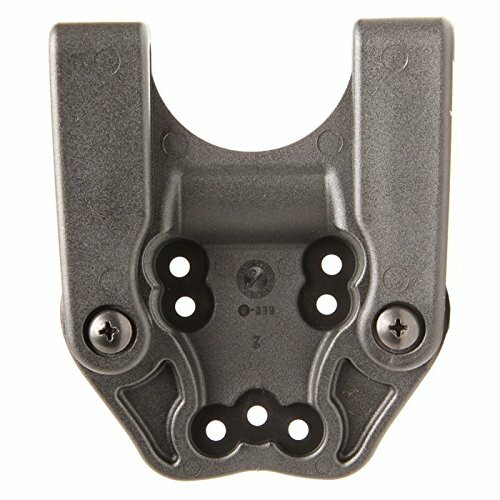 The slots provide the ability to adjust the cant of the holster to varying angles. Compare prices on Serpa Drop at Elevelist.com – use promo codes and coupons for best offers and deals. We work hard to get you amazing deals and collect all avail hot offers online and represent it in one place for the customers. Now our visitors can leverage benefits of big brands and heavy discounts available for that day and for famous brands.